History-makers...the 1st ever Québec team. After several months of speculation as the competing sides the mysterious Tournoi des Cultures et Peoples, being staged by the Provence FA, will see 1 full non-FIFA game. After successfully raising enough money the new representative side of Québec will travel to Europe for their 1st ever games. The North Americans will meet the hosts Provence in a group B game tomorrow. Several sides, such as Northern Cyprus and Monaco, were said to be entering and 6 teams have come together despite Nagaland and Ladakh both dropping out on the eve of the opening day. The event is part of the Marseille city councils 2013 Capital of Culture title celebrations. 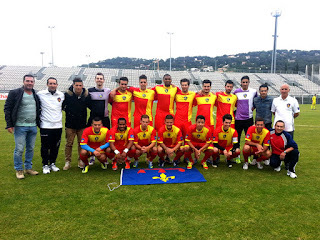 Group A kicked off on Sunday with French amateur side UGA Ardziv, Kurdistan B and a Western Saharans in Spain team drawn together. The latter startlingly lost 17-3 to Ardziv in the first game, demonstrating an apparant lack of equality in the poorly-promoted event. The VIVA World Cup holders Kurdistan named just 2 players who featured in their glory last summer. Group B features a European Tibetan team, the Québécois and hosts. Philippe Burgio has named a strong squad for the tournament as Provence look to kick on from a fine 2012 VIVA World Cup display and a 6-1 thrashing of Monaco in February. Brahim Zénafi scored 5 goals at that VIVA and is on form after hitting a winner in a friendly against CFA side FC Sète last month. Christophe Copel and Yanis Abbes are also named along with Romain Campagna, who scored his 1st Provence goal in the game against Monaco. Christopher Bosselet remains in goal and FC Mulhouse defender Cédric Camatte will captain the side. The difference in class was apparant from day one when they thrashed the Tibetan team 22-0. 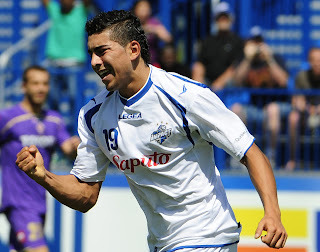 Former Canada international and player Patrick Leduc was appointed as manager of the new Québec team and has named a squad roughly based around the fact American and Canadian clubs are in the middle of their seasons. 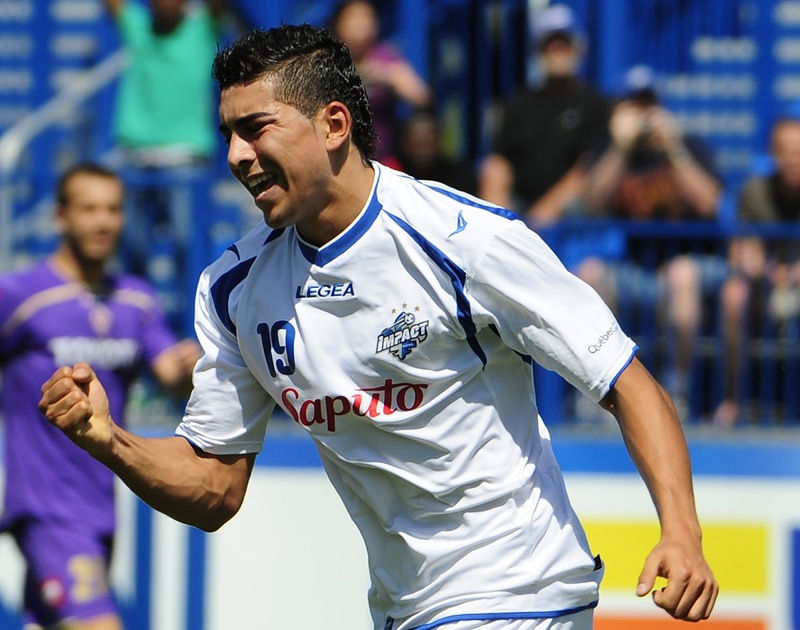 Midfielder Kevin Cossette from the academy side of MLS club Montreal Impact have been called up, along with former Impact strikers Jean-Louis Bessé and Reda Agourram. 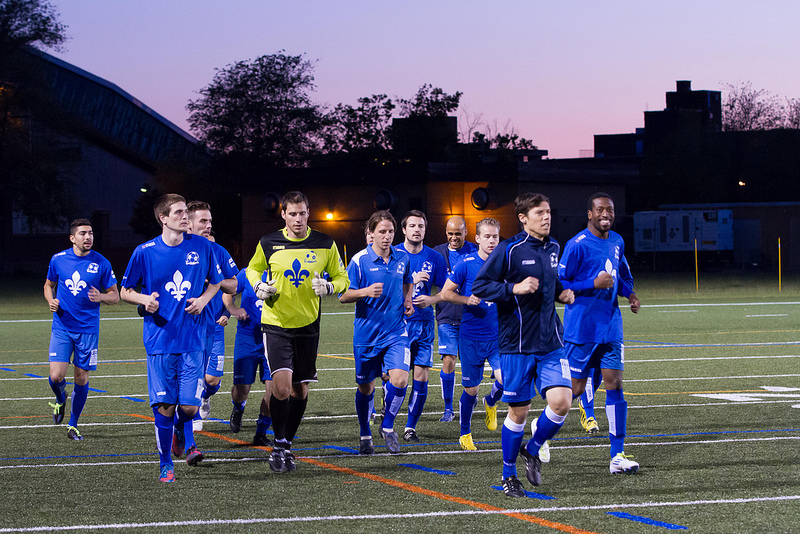 Bessé is 1 of 6 squad members currently playing in the Première Ligue de soccer du Québec. France-based defender Cédric Joqueviel, once with Montpellier, been selected along with retired striker Nicolas Lesage. The North Americans will open up against the Tibetan team before taking on the the hosts and favourites. Co-founder of the team Yannick Saint-Germain has described playing in France for the 1st time as ‘a dream come true’ despite admitted odd organisation and claims from the hosts. They also thrashed the Tibetans today, winning 21-0. The Provence game kicks-off at 15:00 local time and will see Québec enter the non-FIFA rankings as a result.